Over a year ago, I started a 5 part blog series on how to bootstrap a software company. After a long break, I am finally releasing part IV of the series! Something interesting has also happened since my last update in this series…I sold my software company! Now, this doesn't mean I'm an expert in everything, but it is nice to see that the strategies I'm sharing in this series really do work. I was able to exit Long Tail Pro, my bootstrapped software company, for over 7 figures. Below you will find some of the content marketing strategies that I used to grow that business and how you can implement some of these ideas into your own company. For startups, the problem is not whether you can get traffic to your sales-page. You can always pay for as much traffic as you want. The problem is whether or not spending large amounts of money is a good idea to grow a profitable business. Many startups (particularly those funded by VCs or other outside sources) are often more concerned with capturing market share and growth, as opposed to whether the business is making money today. As a solopreneur or bootstrapped company, you have to take a more conservative approach. If you break the bank, it's your account…not someone elses. So, one of the ideal ways to get traffic and sales for your new business is content marketing, as opposed to spending lots of money on advertisements. So, the bottom line is this – content marketing costs less, generates more leads, and drives higher conversion rates (sales), when compared to paid advertising. For bootstrapped companies, I feel like it's a no-brainer and it's exactly what I used to grow Long Tail Pro. What Type of Content Marketing Works Well for Software Companies? Effective content marketing can be accomplished in many more ways than just blog posts and infographics. In fact, a list of 105 types of content ideas was provided by Convinceandconvert.com right here. Quick frankly, there are SO many different ways or ideas that you can tackle content marketing, that it can become overwhelming. I don't have the magic answer for what will work best for your software business. So, it's critical that you do your own analysis to determine what avenue you should take. However, I will share the ideas that worked best for me to grow Long Tail Pro. I started NichePursuits.com back in 2010. Much of what I have blogged about over the years has been sharing my results from building niche websites. I would share my failures and successes as I discovered what was working with keyword research and SEO. These very real blog posts help me build a core audience of people also building niche websites. So, when I would mention that I use Long Tail Pro for keyword research in my blog posts, it was very natural and real. It allowed me to mention Long Tail Pro is lots of blog posts without sounding “salesy”. 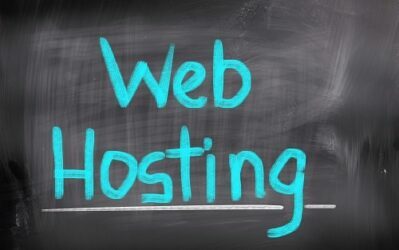 It helped me get more traffic to my site. It gave me a platform I could point to as I reached out to influencers and connected with them. (Many of which I now consider good friends). The benefits of blogging have been discussed over and over again. I like this strategy so much, that I really had 2 blogs generating traffic. First, was my blog here on NichePursuits.com. 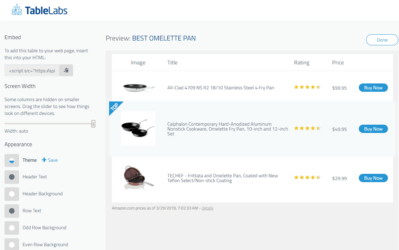 Second, I also started a blog on LongTailPro.com to drive additional traffic. The result was lots of free traffic from Google to both of my blogs consistently generating both leads and sales. The only cost was my own time to write the blog posts. (And later in the business, I had an employee (Jake) doing the blogging on LongTailPro.com). Case studies are really just a series of blog posts, but they can be very powerful. I've conducted MANY smaller case studies where I share what is working in my business. 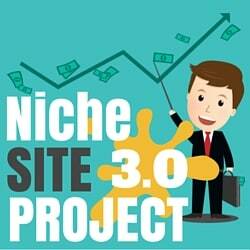 However, for generating sales, nothing was more powerful that Niche Site Projects 1, 2, and 3. 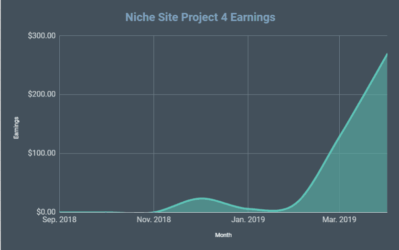 These projects took a reader along the journey of building a niche site from scratch and fully sharing the income and results over a series of months. This engaged readers to an extremely high level. A private FB group started at the beginning of the 3rd project now has nearly 15,000 members. These case studies ignited blog posts on other sites, forum discussions, YouTube videos, Reddit mentions, and much more all without my direct involvement. 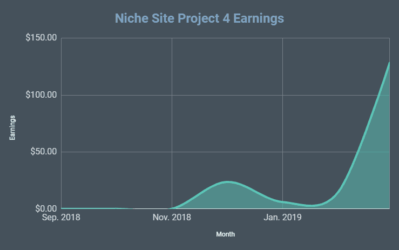 So, not only did the case study provide great ongoing content for my own blog, it also excited readers enough to share and discuss off of my blog. This of course sent even more traffic and links to my blog…which every so often would mention Long Tail Pro. The key to doing a case study though is to make sure it is sincere. I didn't do these case studies just so I could sell Long Tail Pro. I would have done these case studies even if I didn't own the software product. I genuinely cared about building niche websites and enjoyed it (still do!). So, sharing my results was very natural for me and my audience. There is no easy way to track conversions or sales from a podcast. Unlike blog posts, where I know exactly where people came from and what links they clicked, a podcast listener might not take any action for several days. However, I've come to grips with the fact that someone that sits for an hour and listens to one or multiple episodes of the Niche Pursuits Podcast is likely to trust me more than someone who doesn't. Podcasting is a different platform than blogging and attracts different people. 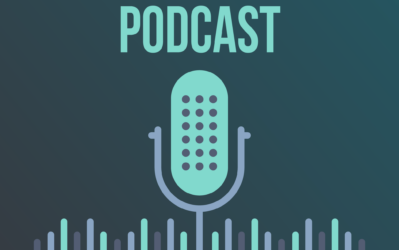 So, if you are not podcasting or being a guest on podcast, you are likely missing a portion of your audience that perhaps doesn't like to read blog posts. 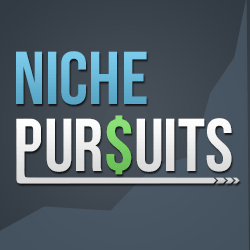 Again, I have no idea how many leads the Niche Pursuit Podcast has generated or sales of Long Tail Pro it brought in. I also don't know how much being a guest on other podcasts helped. However, I know it helped, because I DO still hear from people that found me through guest podcasts. I was on the Smart Passive Income Podcast a few years ago, and people still come out of the woodwork saying they discovered me there. I was on the EOFire.com podcast. I've been on Chris Guthrie's 2 shows: Up Fuel and Seller Cast. I didn't mean to, but I even had Cliff Ravenscraft mostly rant about me for nearly 2 hours on his podcast without me even being a guest. He really didn't like that I said people should NOT start a podcast. I've been on several other podcasts as well. I certainly didn't try as hard as I could have to get on other podcasts, but if you are boostrapping a software company, I definitely think you could be missing a big opportunity if this is not part of your content strategy. Email has always been one of the most direct ways that I've used to drive traffic to sales pages and to build trust with my audience. However, you need to walk a fine line between emailing your list too much and building trust. Auto-responder series to educate your audience and then eventually sell your product. Email blasts to announce recent blog posts (education) or special offers (sales). Have others email for you. The last one of getting other influencers to email their list for you is a huge one. The ability to ask someone to email their list for you can come through paying an affiliate commission and building a good working relationship. Since I was able to build a relationships with lots of people throughout the years through blogging and podcasting, I was more likely to get a mention on someone's email blast. This can work great when you do a discounted offer for a short period of time. This gives people with large email lists a good reason to shoot an email out. As I've documented in the past, a short term special offer can have huge results. One of the great things about content is that is often lasts forever. Unlike an advertisement that you create and pay for each click, your content might generate “free” clicks for years. I still have lots of blog posts that I wrote years ago that continue to send traffic to Long Tail Pro…even though I sold the company. The amount of money I've saved by consistent blogging, case studies, podcasts, and email is a tremendous amount. A single click on an advertisement in Google Adwords for related terms is often over $2. Between referral traffic and natural traffic, there are often multiple thousands of visitors a day coming to LongTailPro.com…most of it thanks to the content marketing efforts I've put in over the years. So, rather than spending thousands of dollars a day on ads to get traffic to your site, you should really consider the long term benefits of content marketing. As always, I would love to hear your thoughts! If you have anything to add to the discussion, please leave a comment below. Yes! Another great post in the series! Thank you Spencer. Please, don’t wait too long for the finale. Yeah, I first found you on Pat’s podcast a long time ago and bought LTP way back then (still have it too). Glad you finally got back to this. I was heavily reading the series last summer when I was in the process of creating my own software. Although I already launched it in August. I definitely agree with Podcasts…it’s incredible the surge of sales that happen after one but no metric fully tells me if it was directly from the podcast…or which podcast. I’d also include Webinars. Showing people in real time how software works builds instant trust and familiarity with it. I’m with you on that! I’m not much of a fan….hoping not to. Also great seeing you at T&C. if you are the admin of the application long tail keywords? in the article you have video tutorials? Such an awesome post, thanks Spencer. I am with you on the affordable and long-term value of Content Marketing. My only issue is starting a new site to launch a program is hard to do with sites taking 4-6 months to start ranking. So my traffic comes too late for my launch. Any thoughts on if that is still a good strategy? I wouldn’t focus on SEO for your launch. Focus on outreach to other affiliates/influencers…and test out paid traffic. SEO is a long term play, not a launch play.